Handmade Glass Dome Earrings . 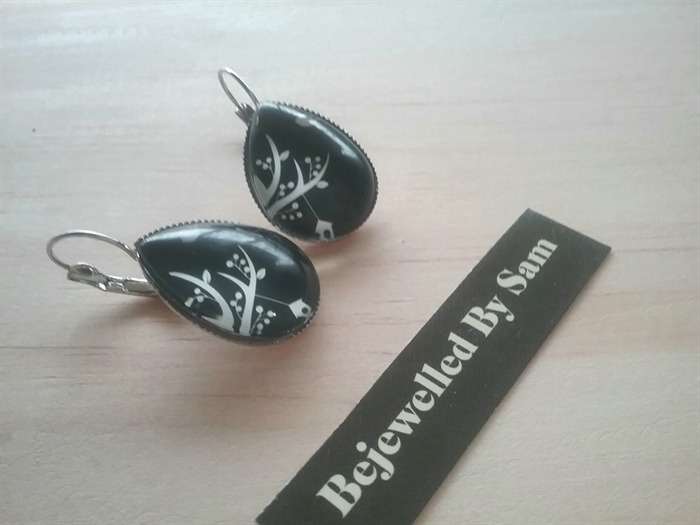 These handmade glass dome earrings are perfect for day or night wear . Measuring at 18mm x 25mm . For pierced ears with a lever back hook . The glass dome is set in a silver teardrop cabochon setting . Thank you for browsing my store . Happy to combine postage . Custom made orders are welcome . Please pay within 5 days of sale . Or please message me for bank details if PayPal is not an option . Thank you .